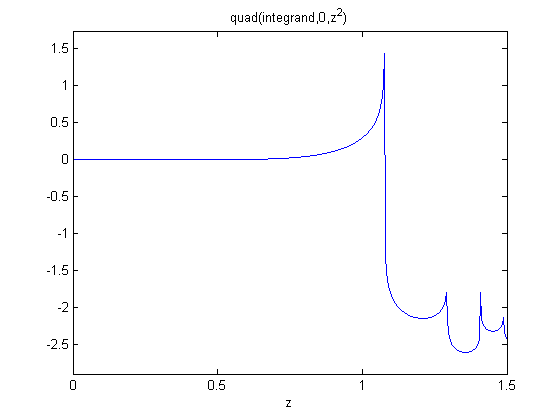 This posts introduces a novel way to numerically estimate the derivative of a function that does not involve finite difference schemes. Finite difference schemes are approximations to derivatives that become more and more accurate as the step size goes to zero, except that as the step size approaches the limits of machine accuracy, new errors can appear in the approximated results. In the references above, a new way to compute the derivative is presented that does not rely on differences! The new way is: where the function is evaluated in imaginary space with a small in the complex plane. The derivative is miraculously equal to the imaginary part of the result in the limit of ! don't get too complacent though! This example comes from the first link. The derivative must be evaluated using the chain rule. We compare a forward difference, central difference and complex-step derivative approximations. 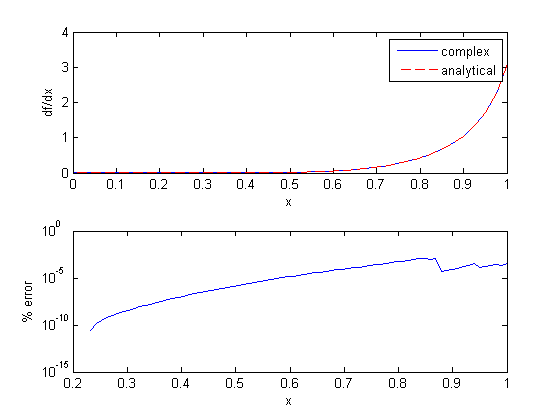 You can see the complex-step derivative approximation is several orders of magnitude more accurate than either of the finite difference methods. Let's use this method to verify the fundamental Theorem of Calculus, i.e. to evaluate the derivative of an integral function. Let , and we now want to compute df/dx. Of course, this can be done analytically, but it is not trivial! Lets evaluate the derivative over a range of x-values. The quad function is not vectorized for the limits, so we have to use arrayfun to map each x-value onto a vector of dfdx. The agreement here is very good, with the largest %%error being 0.0001%% near x=1. That interestingly does not get much better with smaller h.
Here is an example that fails to agree! 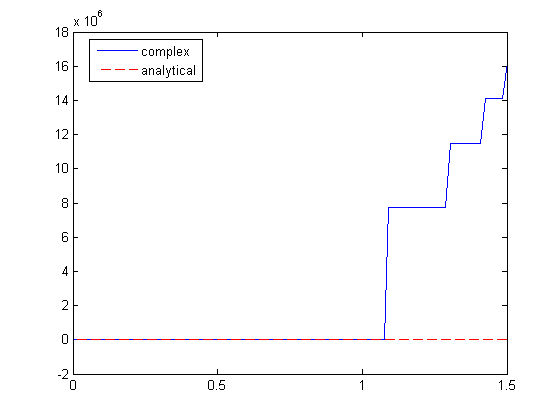 I guess the reason for the failure appears to be related to the singularity at x = 1.1. It is not clear why that causes the estimated derivative to blow up though, since it works everywhere else. 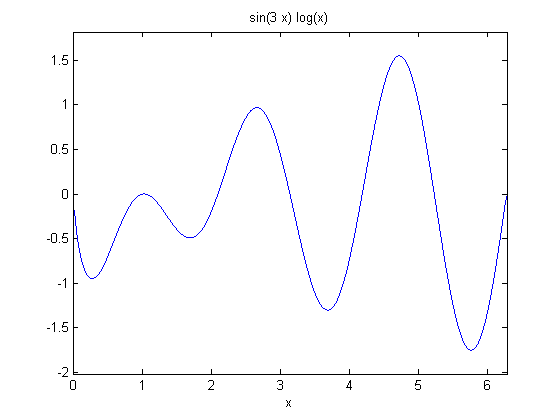 It appears there is a step change at each singularity in the function. Using this simple formula to approximate a derivative is one of the most interesting math facts I can't believe I didn't know before this post!